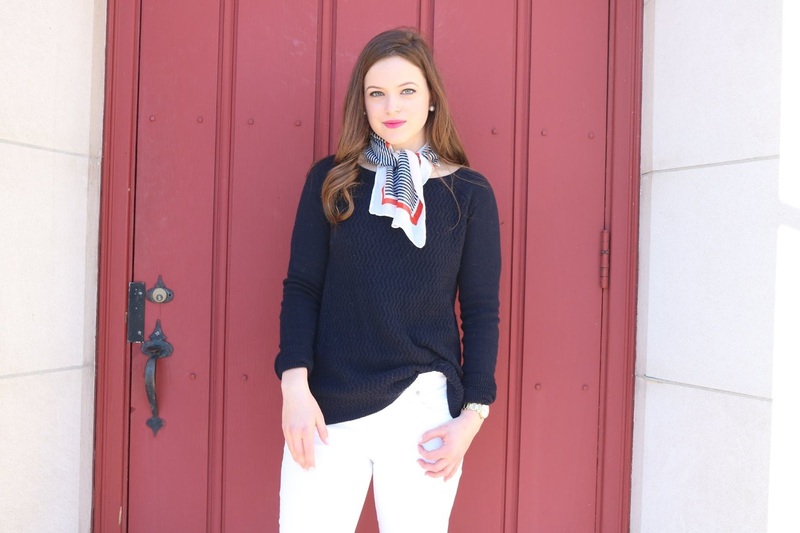 Oh how I love a good combination of red, white, and blue- especially if that blue is navy! 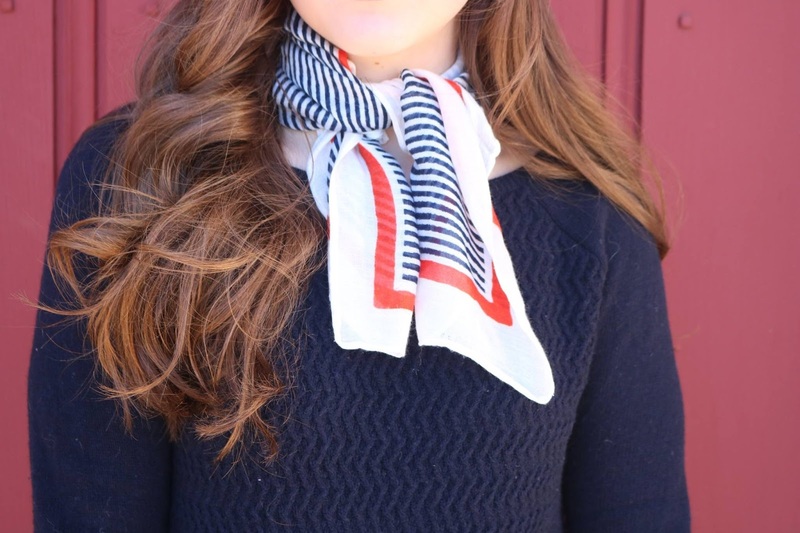 I just had to pair this chic neck scarf from Old Navy with a navy sweater! 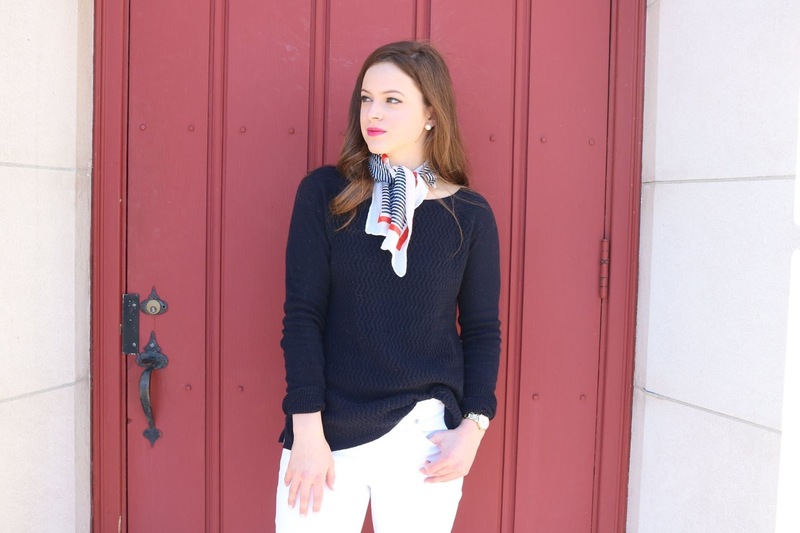 So perfect for spring and even those chillier summer days and nights! 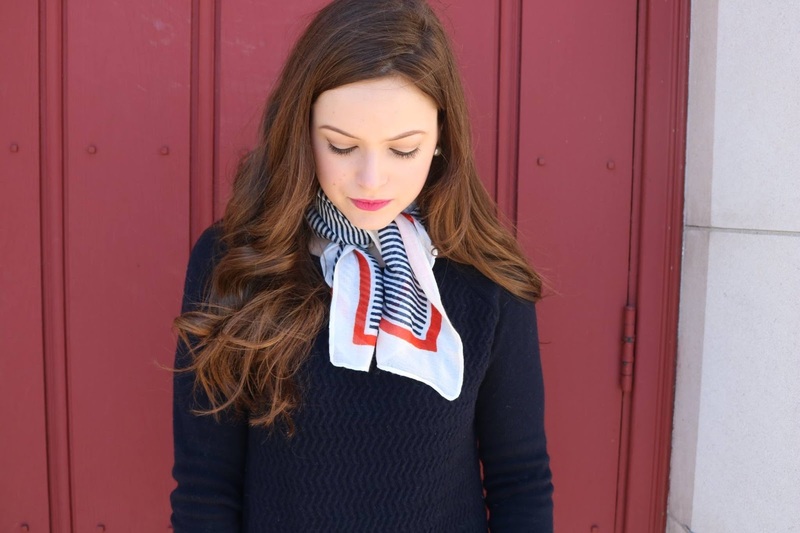 My navy sweater goes perfectly well with the patterned scarf. I like how it ties the outfit together but still maintains the simplicity of the outfit. 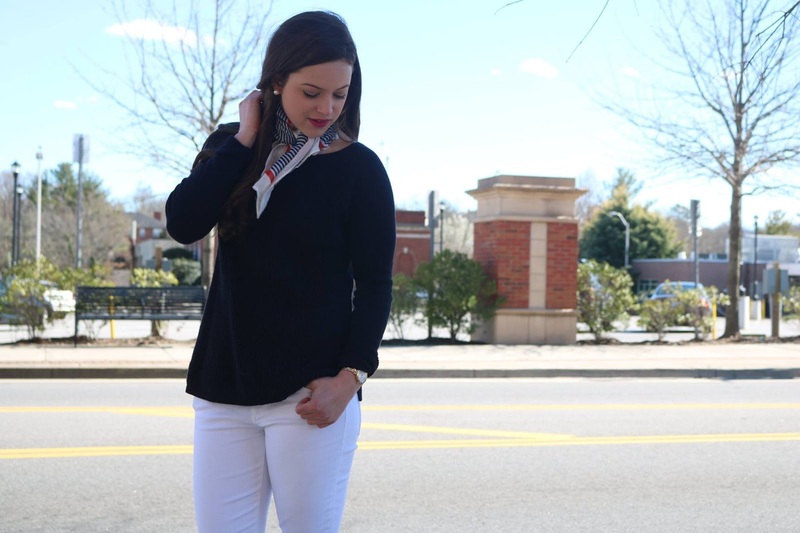 I love pairing navy and white together, so I chose to wear these white skinny jeans from Gap. 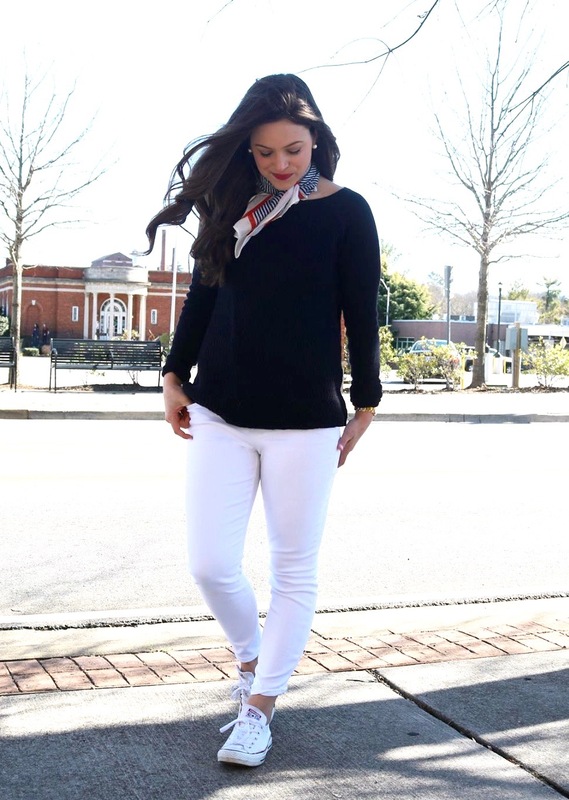 If you are looking for a pair of white jeans that are opaque (and the pockets don't show through) then this is right up your alley. 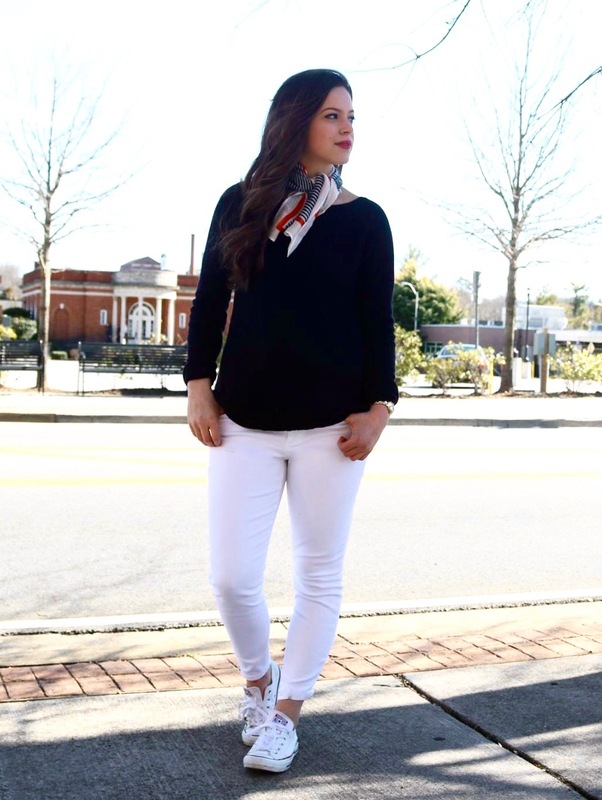 These jeans are the best white pants! 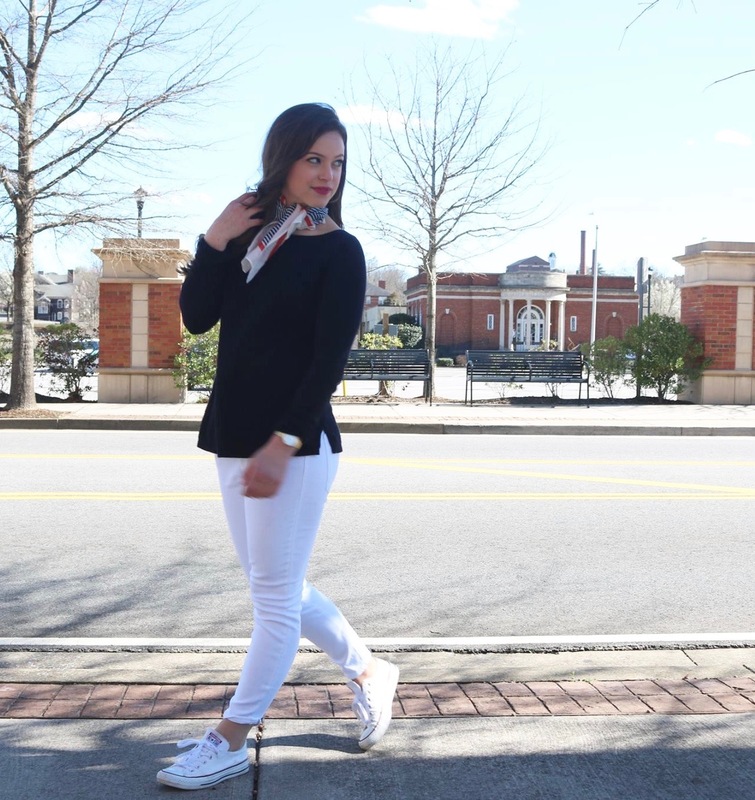 I also love the look of white jeans with white converse, so the converse add a youthful look (and a preppy attitude) to the look. I kept accessories minimal- just my pearl earrings and Kate Spade watch. One regret I do have- why didn't I wear red lipstick with this?? Thank you all for reading! Please take a moment to fill out my Feedback Form on the "Contact" page so I can know how you are liking the blog!